The eagerly awaited 2018 Chipping Campden Christmas Market took place on Saturday 1st December, in the market square and town hall. 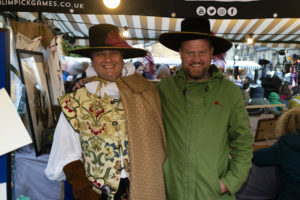 The event was opened by Town Crier Chris “Rooster” Rouse and Lord Mayor of Chipping Campden Michael Allchin. Starting at 12 noon, after a wet morning, the people of Chipping Campden, and surrounding villages, came out in large numbers to browse the stalls, watch and listen to the entertainment and take their young children to visit Father Christmas. 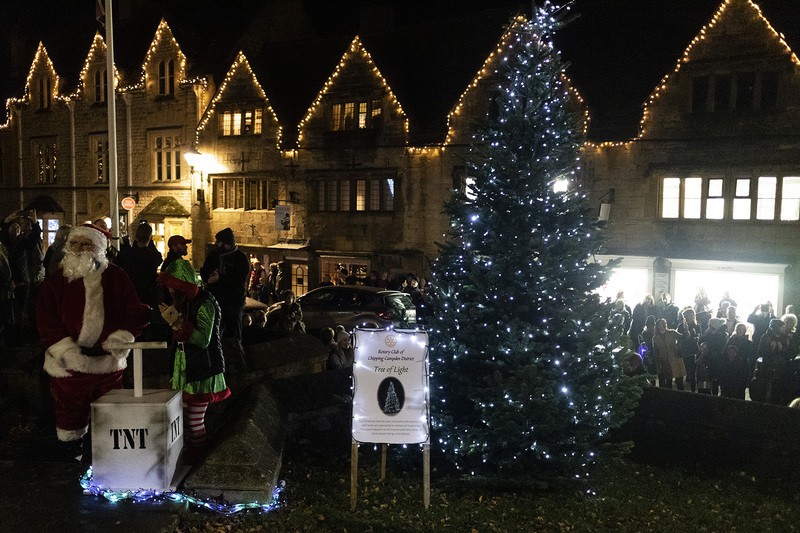 The event was run by the Chipping Campden Rotary club, with the highlight being the lighting of the Tree of Life (and all the town’s lights) at 5:30pm. Entertainment on the stage was with some superb dance routines from Rozie T Dance Academy, and energetic keyboards/vocals from Andrew James. 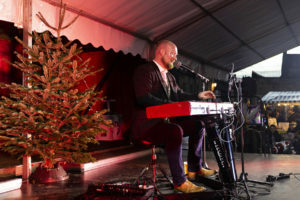 Andrew included a lot of classic Christmas numbers including the Live Aid record “Do they Know its Christmas” and Slade classic hit as well as numbers from one of his favourite films ‘Love Actually”. He also did a reggae mashup with songs from Bob Marley including “One World”. This became a singalong with crowd participation and he was joined on stage with some young children dancing to his tunes. The stalls included one from the Robert Dover’s Cotswold Olimpicks with their first joint newspaper “The Campden Tablet” giving news and history about the Cotswold Olimpicks and Scuttlebrook Wake events which are scheduled for Friday 31st May 2019 (Robert Dover’s Cotswold Olimpick Games) and Saturday 1st June (Scuttlebrook Wake). These historic events, including the world shin kicking championship, have been going for hundreds of years with the Cotswold Olimpicks traced back to 1612!. Also, in 1612 the Market hall and old Campden House were built, so a lot of history started that year. The Scuttlebrook Queen for 2019 will be selected at an event at the Lygon Arms on February 8th, with local girls between 11 – 17 being eligible to enter. The Queen will appear at both events. The outside stalls included several for food and drink (including mulled wine) at West Country Fare, Yubberton Chutney Co, Cotswold Fudge, Campden Rotary, Curry and mulled gin from Cotswold House and Noel Arms, The Kings Hotel, Springdale Produce, Woodchester Valley Vineyard, Cotswold Chippy, Coffee Bean, Warwickshire Creperie, Shakespeare Pig Roast, Huxleys, Nurses Cottage drinks and pizza from the Wild Oven. In the town hall lovely chocolate and fudge was available from Country Markets. The craft stalls included candles from Faye Welford and Oil can mini based from Thomas Dunham, wreathes from Kathryn Kerr, ironwork from Lofty Hemming, Harritt Attias’s silversmith examples, ceramics from Dorcas de Marco, jewellery and paintings from Rae Barrett, handmade crafts by Einir, art and jewellery by Tracy Churchill, pukka pelts, Louise Goves illustrations, flower bouquets from Perfect Petals, hand painted glassware from Cotswold Handmade, Sara’s fairy couture, Country Master, Bespoke iron and steel, Country Styles clothing. In the Town Hall were several craft stalls including local photos from Betty Stocker. There was also a fundraising stall from Chipping Campden scouts, a stall from St. Catherine’s Parent Action Group with raffle items, a treasure seekers gift shop and face painting from Catherine Bellew. 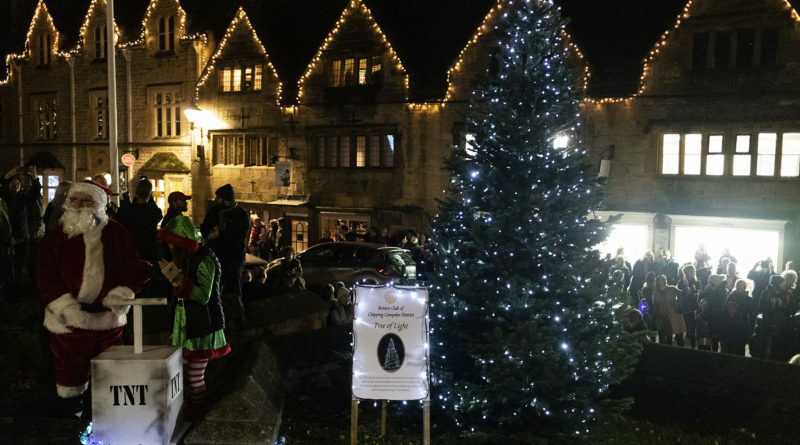 Now Chipping Campden and its shops will hope for a busy Christmas period before an exciting line-up of events in 2019.